"Of course he doesn't hate it! His company made it," you might think. Well, with Miyazaki, who retired from feature filmmaking in 2013, that's not always the case. Dude is one tough critic. 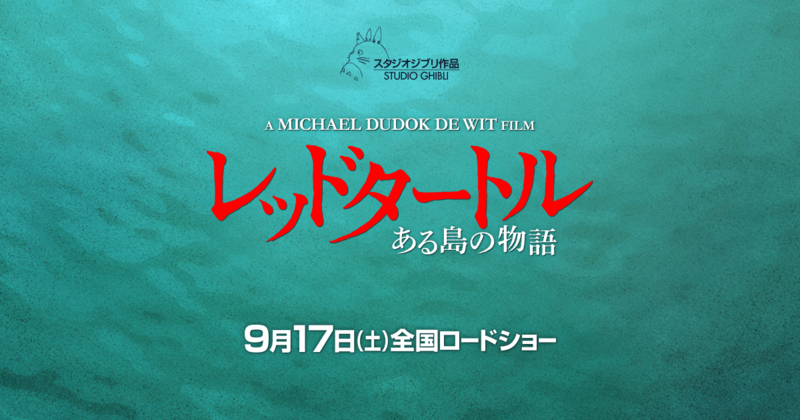 Directed by Dutch animator Michaël Dudok de Wit, The Red Turtle is a French-Belgian-Japanese collaboration. Miyazaki, who is not one to lavish praise (check out what he thinks of his own son's work), was apparently impressed. In a press conference for the film (via Daily Sports and Eiga.com), long-time Ghibli producer Toshio Suzuki reported that Miyazaki said, "Right now, as for the state of world animation, Japanese animation is influential in good and bad ways. As far as I can tell from watching your film, there is a complete lack of Japanese animation influences. That is commendable." Continuing, Suzuki added that Miyazaki seemed impressed how the movie handled CG, pointing out that the Japanese animation industry is moving from hand-drawn to computer created, and said things like, "[We're] making something with a wonderful staff." Miyazaki also reportedly told Suzuki, "I want this staff. If I had this staff, I also could do [this]." It's vague what the 75-year-old Miyazaki was referring to (perhaps feature filmmaking? ), and Suzuki apparently didn't elaborate further, but did say with a chuckle, "[Miyazaki] has retired, so I don't want him thinking about that."